It's a fitting day for me to write this coming off a two week stretch at INBOUND (the mega event with 21k attendees to kick off Scott's new role as VP, Platform at HubSpot) and then MARTECH (with many, many MarTech enthusiasts networking around thought leadership that Scott has helped to foster in the industry). Here's more on Scott's background which as you will see sets him up to thrive in his new role at HubSpot. At Tuesday’s CMO Confessions event hosted by Daniel Glickman, the Chief Marketing Technologist himself Scott Brinker took stage with a Q&A format that invited 90 minutes of deep questioning from the audience – Daniel equated it to a discovery process for a trial. Scott came equipped to handle every question large and small and drop serious MarTech insight for the audience. Along the way he shared his story of how a side hobby has turned, accidentally, into a hit blog with nearly 30,000 Twitter followers – and how he’s resisted the push to turn it into something more. Where did the idea for chiefmartec.com come from? Scott began his career in web development and his company was hired by marketing teams to build out websites. These marketing teams, Scott’s customers, often made the decision without engaging their IT teams. Scott’s job was go talk to the customer’s IT team, let them know about the project, and engage them. “I was an ambassador for marketing with IT,” Scott recounted. Along the way he realized that there was a massive disconnect between the two organizations – cultures were different; incentives were different; and they didn’t have a common language to use together. These experiences led Scott to see the need for a marketing technologist, or MarTech role, to bridge the gap between marketing and technology. When did the chiefmartec.com blog start? Scott started the blog in 2008, as a forum to share his insights around marketing technology. Where did the Marketing Technology supergraphic originate? In 2011, Scott was preparing to speak at a search industry conference, and he was looking for evidence that marketing was becoming dependent on technology. The numbers of vendors grew from that original 150 to 350 in 2012, 1,000 in 2014, 2,000 in 2015 and a whopping 3,874 in 2016. Scott’s answer – “No!” Unfortunately, the entire process is managed manually. Scott uses Google, Crunchbase, Angel List, and conference vendor and speaker lists to identify the companies. Scott strongly relies on the clarity of messaging on the vendor’s website to guide their categorization. When did Scott’s blog chiefmartec.com hit an inflection point of growth? It was the 2014 landscape hitting 1,000 vendors where a much broader audience really started to take notice, and traffic to his website spiked. At that point there was exponential growth in the chart and the blog. Why does he think the landscape supergraphic took off? Does Scott have any ‘commercial ambitions’ around the blog? He doesn’t and he’s resisted those. Many companies reach out to Scott for advice on vendor selection, and there would certainly be a market there for Scott – but he’s decided to refer that business to others so that he can continue to focus his working hours on his role as Co-Founder and CTO of ion interactive. How does Scott see consolidation around the MarTech space? Scott posits that there is a strong likelihood that there is significant consolidation in the space over the next five years. But he also notes that there is a possible scenario where it doesn’t consolidate. Scott equates it to the software development landscape, where the number of software languages, library and frameworks continues to explode. Marketing technology could continue along in a similar way, with both major and minor players, and without ever really consolidating. Has Scott crossed the line on the blog in talking directly about ion? Scott emphasized that it’s critical for him to remain true to his audience whom come to chiefmartec.com for MarTech insights, and not for ion’s interactive content offering. He shared a story that he’s written two posts in the history of the blog that directly spoke about ion interactive. Scott went out of his way in the post to provide an introductory disclaimer around the content of the post, and went as far as to highlight ion’s competitors as part of the article. Scott was full of great soundbites all evening. These were some of the other highlights. “I think their work is becoming more challenging, just because the landscape is so chaotic. One of the difficulties for the analyst firms is how they categorize and evaluate vendors. Often, they are looking at vendors from multiple categories — a multi-channel campaign management lens, or a digital marketing hub lens, or a lead-to-revenue management lens — and the evaluation of the same vendor could be completely different. There’s so much overlap between vendors and categories, it’s hard to give easy answers for which horses to bet on." “If I weren’t a co-founder of ion, I could see it being a lot more uncomfortable for both parties. I wouldn’t ever want to feel pressured into turning my personal blog into shilling for the company, and the company wouldn’t necessarily want someone outside the formal marketing hierarchy presenting his opinions in a way that could be interpreted as official brand messaging." For our next Moneyball Marketer Demand Generation All-Star, we go a little bit outside the box and talk to Courtney Kay, who is becoming a trusted ally to many demand gen marketers in her role as VP, Field & Product Marketing for TechTarget. Courtney has her finger on the pulse of the latest demand generation best practices and as brands need to behave more and more like publishers to build and engage their audiences (prospects and customers), there’s a lot demand gen marketers can learn from experts like Courtney. (You’ll notice several related links that Courtney shared as well interspersed throughout our conversation). Zak: I’m excited to pick your brain so let’s get right to it. TechTarget is a publisher, and brands are being told to act more like publishers to support their content marketing and demand generation. What are your top tips or tricks of publishing that you’d recommend to marketers? Number one - shift from a product centric to buyer centric mindset. Digital enables buyers to define their own research path. If they don’t like the way we have to say what we want to say, they’ll simply leave us out of that journey. Historically, businesses have lead with product. Being an effective publisher means leading with the buyer: what does he or she need to know, and how can we as a brand meet that content need while inserting our point-of-view in the right place, at the right time. Sirius Decisions does some great work on buyer-centricity, particularly Jay Gaines if you get the chance to work with him. Zak: Absolutely, I just saw a quote in an article with one of Jay’s colleague, Jason Hekl – Jason said the key to effective demand generation is to figure out how to genuinely help your buyers – I love that. OK, so what is number two? Courtney: Number two is getting the right team in place. Traditionally we’ve used product teams to talk features/functionalities, sales folks to talk differentiation and execs to talk vision. Now we need advocates and editors who can translate the brand and product story into a language and suite of content on any one topic that facilitates the buyer’s holistic research process. This often requires skillsets beyond marketing to more of a journalistic background. And then third is create a smart content taxonomy, organizational structure. Your value as a publisher lies in your ability to convey expertise and meaningful coverage against the specific topics related to your business that matter to your target buyer. We classify our content in multiple ways and align our production to ensure coverage across each element of that taxonomy through smart calendaring. The fundamentals for a solid taxonomy include: topic, stage of the lifecycle, and the specific solution. If you’ve done the work, you can also leverage personas here, which will ultimately inform your personalization efforts later. Zak: This sounds like an area where that publisher know-how can really help. Courtney: You’re right. The key is don’t try to cover too much- think depth, not breadth to facilitate that journey and align the right types of content to the various lifecycle stages. We have a quick grid that can help. Zak: What aspect of demand generation do you see as particularly ‘hot’ over the next year? Courtney: When I think about demand gen trends I think about 2 aspects, 1: what we’re doing buyer-side to create deeper engagement and 2: how we’re utilizing that gained buyer insight in conjunction with other data on the backend to continue to facilitate that journey -- be it via marketers, advocates, or sales. Regarding #1, I think we’re going to continue down the personalization path with brands thinking beyond email nurture, to more seamless/holistic personalization of brand experiences thanks to technology advancements. The second trend, regarding #2, is the real-time utilization of data in our marketing, sales & service efforts. We’re bringing not only contact details but behavioral details into our systems and providing visibility real time. We’re also starting to augment that data with other relevant external data to create 1-a more comprehensive picture of our buyer and 2- a better functioning, more efficient CRM system. Zak: So you’ve mentioned a couple technologies that TechTarget is focused on. What technologies to support demand generation are you seeing increasing in adoption by marketers? Courtney: This idea of personalized content experiences and better, deeper engagement is being made possible by some pretty exciting technologies that we’re going to start to see more widespread adoption of, and probably acquisition of by the major marketing platforms. In particular I see content experience tools- tools like Uberflip and Ion Interactive are a few examples of software tools that are allowing us to bring more, related, and personalized content offers to prospects, at their point-of-consumption. They’re doing some exciting things to by assessing your engagement and capturing information on the buyer as he or she researches and using it to customize it as buyer’s progress. And then also retargeting & programmatic- the display ad is essentially born again thanks to our ability to merge interactive experiences with advanced targeting tactics, and the immediacy afforded by programmatic to react more real-time with progressive, personalized content via the banner. On the backend, when it comes to the utilization of data, I think we’re on the cusp of something really exciting. First we’re starting to see much more powerful data being made available that can help us make better sense of our CRM systems and prioritized our sales efforts. Then we’re seeing the growth of predictive tools that are mining our CRM systems and these additional data sources to predict where our next opportunities lie. This is a space to watch and invest in for sure- we sure are! Zak: Is there a marketing program that you’ve seen in the past year that stands out as being especially innovative and/or effective? Courtney: I really like the work that CommVault did this past year- not because it’s any big, over-the-top concept, but because the team got very strategic about how they tackled some real challenges I think we can all relate to, and they share their results- which can often be hard to come by. I won’t run through all the details, but to summarize- the team was struggling with a few key things heading into their FY14- 1: having so many distribution channels and efforts that they felt as though they weren’t getting meaningful enough visibility across any 1 channel- 2- they were running into challenges trying to drive the adoption of a persona-based strategy and 3- they were struggling with cross-pollination – meaning driving any one account to purchase multiple solutions. In response, the team reduced the number of channels they were leveraging, created a very integrated brand/demand/enablement approach across those they were leveraging (aligning teams and technology) and worked with us to develop a buying-team focus and cross-solution messaging strategy that drove both deeper engagement with prospects, and a greater solution awareness across accounts. You can watch the case study (3rd video down) and also check out an interview with CommVault’s marketing teams if you’re interested in learning more. Zak: OK, we’ve gone deep into some great topics. I want to learn a little more about your background and how you’ve grown into these areas. How did you get your start in marketing? Courtney: I actually started out in sales and quickly realized that it wasn’t the close that got me most excited, it was creating the vision for a client of how he or she might use and benefit from my solution- relating to them, and seeing that “ah ha” moment. It was the storytelling that I loved, and also figuring out how to visually represent that story is something I really enjoy. I do think the background in sales was one of the best things I could have done for myself as a marketer because it helps me relate well and frankly work very well with my sales team- something I think a lot of marketing and sales organizations struggle with. Zak: Absolutely and I’ve had similar experiences to what you’ve described. And now that you are an absolute marketing and demand generation pro, what do you like most about those areas? Courtney: This is where I get to geek out a bit. I love digging into the data to test hypotheses, debunk myths and bring those marketing stories to life. Demand tools provide a very measureable way to draw some pretty clear conclusions about our marketing efforts, I love to survey, test and measure everything. If you’re ever subjected to one of my presentations, you’ll quickly realize my love affair with all things statistically oriented! Zak: What skills do you see as most important for a demand generation marketer? Courtney: This is more of an attribute than a skill but is directly related. I personally think one of the best things a demand generation marketer can be is inquisitive. So often I deal with media buyers or demand generation marketers that are so focused on the numbers – and rightfully so, it’s a big job! -- that they often overlook the bigger marketing point. For example with one client we had a series of content that we were marketing. A subset of that content was generating exponentially more leads so they want to stop circulating the rest rather than poke at why that might be. So we took it upon ourselves to test out a few ideas and discovered that a number of the assets they wanted to stop circulating were actually driving exponentially more secondary touch points which were also directly correlated to a higher engagement with trigger content. So being inquisitive to me is really important… and the corresponding skill: being at least a little bit analytical. Zak: What advice would you give to any aspiring demand generation marketers? Courtney: I have three pieces of advice. First - avoid “analysis paralysis.” As much as I do think being analytical is important, don’t lose sight of the reality of the situation. It’s easy to get absorbed in the numbers- I’m definitely guilty- but try to stay rooted in the reality of what you’re dealing with and looking to achieve. Second - just because you can doesn’t mean you should – technology is enabling us to do so very many things now with our targeting and content delivery. Be sure that what you’re taking on is enhancing- not detracting- from a buyer’s journey. And third - don’t over-engineer it- at the end of the day, we’re all trying to sell a product and nothing will ever beat a great conversation and a personal connection. You don’t need a 200 parameter scoring mechanism or 30 touch nurture and retargeting strategy that takes an astrophysicist to decipher to make that happen. Take the time to understand a client’s journey from introduction through to close and service and figure out the right places to add your value to that journey. Zak: Where can we find you on social media? Courtney: You can find me on LinkedIn: http://www.linkedin.com/in/courtneylkay/en and on Twitter: @CourtneyLKay I’m always happy to connect and hear about your great marketing experiences or chat about challenges! Zak: Thanks so much Courtney. Allison MacLeod is the latest of our Moneyball Marketer Demand Generation All-Stars. As Senior Director of Demand Generation & Marketing Operations at Rapid7, Allison has a wide range of responsibilities and has both the blessing and the challenge of growing demand for a business that recently received $30M in investment to accelerate its growth(!). Zak: What is the target audience you are marketing/selling to? Allison: Rapid7 provides IT data security data and analytics solutions and we market and sell to information security professionals. That includes the CISO (Chief Information Security Officer), security managers, directors and VPs, penetration testers, security analysts, and incident responders. Zak: With that wide range of roles, how do you segment your audience? Allison: We segment by customers and prospects, but mostly our segmentation strategy is based on relevance. We have three different solution areas – threat exposure management, incident detection and response and security advisory services. It is important that we deliver and provide relevant marketing resources to people based off of their need and interest, as well as their role. A security admin looking to scan their network likely wants different content than a CISO who has just joined an organization trying to measure the maturity of their security program. Right time, right message, right person is critical! Zak: Absolutely. Part of that right time, right message is well defined lead stages, how have you approached that area? Allison: We follow a Sirius Decisions model, but with a bit of our own Rapid7 twist on it. We measure each stage of the funnel and are pretty maniacal about it to make sure we are staying on top and achieving our goals. Zak: What does your “technology stack” look like? Allison: Our stack includes marketing automation, CRM, predictive scoring, customer advocacy, online community, analytics platforms, as well as a few onsite conversion tools. Zak: That’s outstanding. What aspect of demand generation do you see as particularly ‘hot’ over the next year? Allison: There are a few different areas – predictive analytics and scoring, account based marketing, personalization and customer focused marketing. I definitely think we’ll see more of a need for predictive analytics and scoring. Being able to better identify high quality leads and increase conversion is something all of us marketers want as well as the ability to focus on quality over quantity. I also think personalization will be big in the next year. Being more relevant and targeted in messaging and content is important. Our customers and prospects want what is relevant to them not to be served up a ‘one size fits all’ type of campaign. The better marketers are at this, the more successful they’ll be. But like others have cautioned in this blog series, you have to have enough of the right data to get it correct! And lastly customer marketing and advocacy is another hot area. We LOVE our customers at Rapid7 – and customer advocacy is really important for us. We get our customers involved in our product programs, events, webinars, blogs and our own customer-only conference UNITED. I’ve seen a lot of marketers start to focus more on their customers and I think this will be an area that will see a lot of growth in 2015. Zak: Jon Miller of Marketo has talked about behavior targeting being an area he expects more marketers to get their head around in 2015. Are you doing any form of behavioral targeting or triggers and what? Allison: This is definitely important and an area I’d like to focus on. Stay tuned. Zak: We all know content creation is critical to demand generation? How does your marketing team approach content creation? Who owns it? Who contributes? Allison: We approach content generation based off of the needs of our audiences, what is new and trending in the industry and relevance. We try to be very agile – so for example if there is a big security vulnerability discovered in the industry -- take your pick from 2014 like Heartbleed, ShellShock or Poodle -- we act as quickly as possible to deliver content that is educational and actionable, whether that is a blog post, video, webinar, or eBook. Content is managed centrally out of our Marketing Communications team, but we have a lot of contributors throughout the organization. Our Community Manager is responsible for our blogs strategy, and we have many contributors to overall content including PR, product marketing and management, engineering, demand generation, our services group, and research. Zak: What are the top social media platforms you’ve found to reach your audience? Allison: Twitter and LinkedIn are best for our audience. Zak: How did you get your start in marketing? Allison: In college I knew I wanted a career in Marketing, so decided to get my Master’s in Integrated Marketing Communication. While I was working on my M.A., I got a great gig at a small marketing and advertising agency in Boston where I got to wear many hats, mainly product marketing. After I finished grad school, I started at a marketing consulting company where I worked with a number of different clients on their marketing automation and email programs. My first assignment was creating a data dictionary for the CRM and automation platforms for the client’s marketing team. I thought I had wanted to be more on the creative side, but that job was definitely a great intro into demand gen, data and analytics. Zak: That is so cool. What do you most enjoy about marketing and demand generation? Allison: I love working across many different departments in the organization. I get to work with sales, all teams in marketing, products and services teams, IT, Finance and more. There is nothing more exciting than knowing that the campaigns or leads you have been responsible for have led to opportunities and won business. I also love working on integrated campaigns and using new technologies to reach customers and prospects. It’s a job that gets you exposed to a lot of different areas, and no two days are the same which is something that keeps me on my toes and thrilled to keep doing it! Allison: Data driven, analytical, results oriented, and creative are key skills. More specifically, I think having a natural curiosity about results, being able to create and design programs that are relevant and elicit interest, creating strong alignment with a sales organization, and the ability to change course or alter your programs based off of performance. Allison: I’m in demand gen, so of course I think it is one of the most important and exciting functions in marketing. For those aspiring demand gen professionals out there, I’d suggest joining a company where you can try many things to see what suits you best and round out your experience. Get to know how marketing ops uses technology and data to drive strategy, understand how the digital team creates awareness and fills the top of the funnel, do a stint in customer marketing, content or campaign creation. One of my first roles was focused on marketing operations and it gave me a great foundation to get more involved in the creative side of demand, and ultimately responsible for both. Next up on our list of Moneyball Marketer Demand Generation All-Stars is Adam Barker. I previously profiled Adam and 12 best practices he shared at a MassTLC Demand Gen group. So since you have that article already and since Adam’s company is a little bit security conscious, we’ll keep this brief. 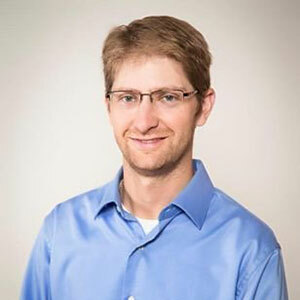 Adam has a rock solid demand gen background first at SmartBear Software and now as Director of Demand Generation for Continuum Managed Services. Adam: The Demand Gen team owns content creation. They involve the entire company gathering content from all our internal SMEs. It’s a team effort. We also enable our customers to contribute for items like blog series and webinars. Zak: Interesting, you don’t always get that clear ownership of content from the demand gen team. Now on a related topic, Jon Miller of Marketo has talked about behavior targeting being an area he expects more marketers to get their head around in 2015. Are you doing any form of behavioral targeting or triggers and what? Adam: A good tactic is to organize your site pages by pain point and place visitors in pain point buckets as they visit. Targeting these buckets with tailored messaging increases email success three-fold. Zak: OK great. So as I mentioned we have a bunch of tips already from your MassTLC presentation, so let’s shift to more about you. How did you get your start in marketing? Adam: I started as a graphic designer, but my early roles were on VERY small teams so there was a huge need for me to learn more and more marketing channels and mediums. This instilled a passion for all aspects of marketing in me. Zak: What do you most enjoy about marketing and demand generation? Adam: Helping my team learn and succeed. Adam: We look for “T-shaped” marketers, meaning marketers who have deep knowledge in one particular area (writing, email marketing, SEO), but they also have smaller skill sets and (and maybe more importantly) a desire to branch out and learn other skill sets. In general, a team full of T-shaped people makes your team immensely stronger and more efficient than a team full of “I-shaped” marketers. Adam: It’s a skill to be able to “think scale” for every program/request. The ability to look at projects through the lens of customer AND cross-departmentally with how it relates to the larger picture that we as a company are trying to achieve. Adam: @abarks99 on Twitter, or on LinkedIn at www.linkedin.com/in/abbarker/en. Rachel Weeks is the latest of our Moneyball Marketer Demand Generation All-Stars. As Director of Marketing at HealthcareSource, Rachel drives the strategy and leads the team responsible for demand generation, marketing operations, and corporate communications. Rachel: HealthcareSource provides talent management software and educational content to U.S. healthcare organizations, so we target a very specific market. Within this market, there are a number of different segments that we target. Zak: OK so how do you segment your audience? Rachel: While our target market is very specific, the roles within each organization vary significantly depending on the type and size of organization. While the majority of our audience is hospitals, HealthcareSource also sells to acute care centers, physician practices, and continuing care organizations which include long term care communities, home health agencies and hospice providers, so these organizations may vary in size from hundreds to tens-of-thousands of employees. Within these organizations, the talent management function includes professionals focused on employee recruiting, performance management, compensation, education, and organizational development. Our products align with these functions in the areas of Recruiting, Retention, and Learning, and within each function we segment by individual contributors/managers who are typically the users and directors/VPs/ CXOs who are typically the decision-makers accountable for the budget. Our messaging, sales tools, marketing campaigns and calls to action are specific to each function and level within the organization, because often the software purchases for each function are decentralized and we need to be sure we are working with all of the appropriate contacts within an organization. Zak: Interesting – I think that’s the widest net of personas I’ve heard so far from the all-stars. With so many potentially on the buying team, what is your approach to lead stages? Rachel: HealthcareSource has adopted the waterfall approach designed by Sirius Decisions which gives us visibility in to each stage of our lead funnel from response through closed won deals. When responses come in via inbound or outbound marketing campaigns, they are dispositioned one of 3 ways: 1) sent to Sales for immediate follow-up 2) sent to BDRs for further qualification 3) entered in to a nurture campaign that is targeted by the respondent’s function and level in the organization. Depending on the disposition, each response eventually follows the path to lead -> opportunity -> closed won deal. At each stage of the funnel, the response may be dispositioned out of the funnel. The Sirius Decisions waterfall approach gives us visibility in to the volume of leads that are moving through each stage, as well as the conversion percentage. By monitoring the funnel on a regular basis -- for us it’s monthly, depending on your sales cycle it may be different -- we are able to identify areas where the leads are getting stuck and not moving through the funnel and areas where leads are getting dispositioned out of the funnel. This enables us to target specific funnel stages that need improvement in order to achieve our overall goals. Rachel: At HealthcareSource we use Salesforce.com for CRM, Marketo for marketing automation, and Google Analytics for web activity reporting – pretty standard stuff. We also use a product called Litmus for testing our emails on various browsers, we use Brainshark and Slideshare for content creation, we use Beep! directed voice mail for lead gen, and we try to experiment with as many tools a possible to stay in top of the latest trends, in fact we’re just about to pilot a tool called SproutSocial to further leverage social media for lead gen activities and we’re really excited to see how it’s going to impact our results. Rachel: The effective use of social media to generate leads will continue to gain traction. I specifically say “effective use” because many companies are using social media to share content and engage with their audience, but I’ve encountered very few that know how to quantify its value. That’s something I’m excited to dive further in to this year. Personalization and behavioral targeting are the other areas that interest me particularly. There are so many new technology solutions emerging that address these areas, and it’s a significant investment of time to research and evaluate all of the various solutions and determine which one is the best fit for our business, but it’s something I am hoping to focus on at some point in 2015. Rachel: Content creation is a huge part of our marketing strategy. We have a content marketing specialist on the team who is responsible for the HealthcareSource blog, white papers, PR articles, and leveraging contributed content from HealthcareSource clients, partners, and staff. She works with product marketing and sales to prioritize content creation in response to client and prospect requests, and develops a quarterly list of topics. Depending on the topic and whether or not she wants to include input from clients or other contributors, she will determine what type of asset she will create and what channels she will leverage to distribute it. We almost always distribute all of our content via the blog -- if the asset is a white paper or an article, for example, she will write an excerpt for the blog and link to the full asset -- and our key social channels. She launched a guest blogger program from which we’ve published blogs by HealthcareSource staff, clients and partners, so that has been extremely successful, and our blog offers a great balance of educational content and fun content. Shameless plug inserted here: http://education.healthcaresource.com. We also leverage email for content distribution. Zak: Hey, you’ve earned the right to do shameless plugs, so go right ahead. What are the top social media platforms you’ve found to reach your audience? Rachel: We have both experimented with a variety of social media platforms and surveyed our audience to understand where they are doing their social networking and we’ve found LinkedIn, Facebook, and Instagram to be the most popular platforms. It’s so important to know your audience and engage them where they are already spending time – we post to Twitter through Buffer, our social media management platform, but our audience isn’t really on Twitter so we don’t spend too much time thinking about how it impacts our social media strategy overall. Other audiences will have different preferences for their social networking. Zak: Switching gears to the personal side, how did you get your start in marketing? Rachel: I was an English major in college, so I’ve always been a writer. My first job was at a start-up medical device company and while I was primarily the receptionist/office manager, executives would come to me for proofreading and editing because of my background. Eventually my role evolved in to working with print vendors on product collateral and packaging, which eventually lead to my first job in marketing communications. I think start-ups are a great way for new professionals to get exposed to a wide variety of tasks and functions and figure out what career path to pursue for the long term. I love working with cross-functional teams, so marketing is a great way to do that. While we primarily support sales for demand gen, we work with product marketing and management, professional services, HR, and the executive team regularly on lead gen campaigns and branding initiatives. Marketing, to me, has always felt like the hub of every company I’ve been at, perhaps because most marketers are very social by nature and get to plan corporate outings and events! Rachel: Marketing is much more analytics-driven today than ever before. There are so many great tools that enable marketers to dive deep in to the data of campaigns that the science of marketing has superseded the art. Creativity is still important – both design and content – but now more than ever success in marketing requires a data-driven mindset and the ability to drive activities and results based on supporting data and analytics. Rachel: Based on my experience and personal preference for smaller companies, I advise all new job seekers to work in a small company early in their career. Small companies offer so much exposure and opportunity to learn about all aspects of the business whereas larger companies tend to silo people and departments in to very specific roles. In addition to the company size, the company culture is so important. Job seekers can learn about a company’s culture by visiting sites like Glassdoor for employee reviews, doing research on LinkedIn for mutual connections, and asking questions about training and professional development opportunities, mentoring philosophies, what the company does to recognize and reward employees. Specific to aspiring demand gen marketers, I would suggest leveraging the myriad of great resources that exist online to learn as much as you can about marketing best practices, marketing automation, marketing analytics, and new and emerging technologies from places like SiriusDecisions, LinkedIn professional groups, MarketingProfs, the list goes on and on…. Zak: Rachel, thanks for your very insights here – very thoughtful and comprehensive. Lauren Brubaker is latest of our Moneyball Marketer Demand Generation All-Stars. Lauren is Director of Demand Generation for NetProspex whose innovative approach to marketing data management was recently recognized with a $125M acquisition by Dun & Bradstreet. Lauren is also the owner of a great Twitter handle – B2BLauren. Lauren: I’m fortunate to be marketing to my own persona. NetProspex sells to demand gen marketers at high-growth companies, especially those who work in the tech space. We are looking for marketers that care a great deal about being innovative, ahead of the curve, and understand that they can no longer put off investing in marketing data management. Zak: Yes I am envious – you’re a demand gen marketer marketing to demand gen marketers. So how do you segment “us”? Lauren: We segment our audience based on persona and stage in the buyer’s journey. We have three different personas that get filtered into MOFU/TOFU/BOFU nurture programs. These nurtures offer a mix of content mapped to their respective stages, along with incentives to push people to the next stage. We also have a customer nurture program that is split between one-time purchasers and our subscription customers. Zak: What is your approach to lead stages? Lauren: We follow the SiriusDecisions waterfall method, tracking people at Inquiry, MQL, SAL, SQL, through to Closed Won. MQLs must be accepted and move to SAL within two business days, although ideally they are touched within the first hour. SALs are allowed to remain at that stage for three weeks, as our SDR team tries to book an appointment for a sales rep. Once an appointment is set and there is mutual interest, what we call a “qualifying opportunity” is created. The sales rep then has two weeks to move that opportunity into the discovery stage and associate a potential dollar amount with it. We like to manage momentum as much as possible, by encouraging things to quickly move through the funnel, or return to a nurture program. If they do get returned to nurture, their lead stage is set to RTN, and we evaluate how long it takes for them to pop back up as an MQL. Zak: Excellent – what I love is the handle you have on the timing, and presumably SLAs, attached to each stage. That’s a best practice right there. So you need to feed those MQLs into the waterfall -- what aspect of demand generation do you see as particularly ‘hot’ over the next year to help you do that? Lauren: Of course people are buzzing about predictive analytics right now, which is great, but I’m more interested in seeing the evolution of cookie pool data, particularly how it gets paired with firmographic/demographic data for display ads and retargeting. And of course, I’m personally hoping that more B2B marketers begin to see marketing data management as “the new hotness” for their demand gen engine. Zak: Great stuff. I did recently blog about both predictive lead scoring and retargeting tools so those are on my mind as well. So what does your “technology stack” look like today? Lauren: We use our own Workbench data management solution to clean and enhance the data that lives in Salesforce and Marketo. We use Triblio for social listening/sharing, and just recently inked a deal with Influitive to create a stronger customer advocacy program. We’re also big fans of Litmus to make sure our emails are rendering properly across key devices. Zak: I should have known NetProspex was part of your toolset! What technology are you considering that you might add in the next 12 months? Lauren: I think we will take a look at tools like Invoca to gain better insight into our inbound leads, especially as we increase our inbound efforts over the next six months. We haven’t done a great job creating video content, so we will start looking tools to help with that early in Q2. Zak: I’ve mentioned to others in these interviews that Jon Miller of Marketo has talked about behavior targeting being an area he expects more marketers to get their head around in 2015. Are you doing any form of behavioral targeting or triggers and what? Lauren: Our nurture programs are all based around behavior. Any new person that shows interest in NetProspex starts in our top of the funnel nurture stream. We give them background on NetProspex and what we do, and then every few emails, we introduce more middle of the funnel content. If someone downloads, they are bounced to our MOFU nurture program, where we try to get them prepped to talk to an inside sales rep. This process repeats through all our stages of the buyer’s journey. I like to think of it as marketer’s “Choose Your Own Adventure” program. Zak: What’s a marketing program that you’ve done in the past year that has been particularly effective or innovative? Lauren: Direct Mail is back! We typically do at least one high-value, highly targeted meeting maker campaign each quarter, and we always get fantastic results. Our sales team picks the folks they haven’t been able to get a meeting with, but they know this is the right buyer for us, and we’ll send them FedEx boxes stuffed with something cool… iPads, spa gift cards, and even a New England clambake for six. I almost hate sharing that, because we have such great results from the program. Lauren: Our Director of Product Marketing owns content, but he and I work closely together… we even moved our desks so we could sit next to each other for better alignment. We work off the “content pillar” approach, creating one large piece of content per quarter that can be easily broken down into smaller, snackable pieces. For example, this quarter we are working on our annual State of Marketing Data Benchmark Report, which is a 10-12 page PDF. We take that, and then break it down into blogs, webinars, tweets, tip sheets, and more. We’re still a relatively small marketing team (but we’re hiring!) so we need to maximize ROI for our time. I then take the content and insert it into our demand calendar for social, display, email, etc. Zak: I’ve seen a lot of success with the content pillar approach – Kapost did a nice job of summarizing content pillar in this post. So then as you are promoting that content, what are the top social media platforms you’ve found to reach your audience? Lauren: We primarily engage with our audiences through LinkedIn, Twitter, and our blog. Triblio has been a big help in showing us where the key conversations are happening. Zak: Shifting to the personal side, how did you get your start in marketing? Lauren: I started in marketing when I was pretty young, getting my first job as a marketing assistant at 19. Email marketing captured my attention immediately, which is great, because Atlanta feels like the marketing automation capital of the world (Marketo, Silverpop, and Pardot all have huge offices there.) It has been incredible to see the changes in the technology over the past ten years. I’m looking forward to seeing what the next ten bring. Lauren: I love the fact that I can help sales close a deal, without actually having to close a deal. Asking people for money gives me serious anxiety… but I love being able to contribute to a company’s bottom line in a measurable way. I have such respect for sales people and the work they do. The rejection they face on a daily basis can be so discouraging, yet they are still able to come in again and do it all over again. If I can help them hit their commits each day, I’m happy. Lauren: I think they are many of the same skills that help people succeed in any role in the startup/tech world. Grit, willingness to roll up your sleeves, and a general hustler’s attitude will help you go far. Toss in a love of analytics, and you’ll be set. Lauren: Get your hands dirty! There’s nothing like real-world experience to teach you the ropes. Learn the basics of email marketing, get comfortable with simple tools like Constant Contact, and work your way up. There are always local businesses that need help getting their message out there. Once you’re more established, two things are crucial: 1. Make friends with your sales team immediately. They won’t always love you, but if they know you’re genuinely working (and working hard!) for their best interests, the alignment is much better. 2. Find a way to connect with the folks in the C-Suite. It can be through your metrics, your mutual love of scotch (shoutout to Mike Bird! ), or helping edit their blog posts. Just find a way to connect. It will help you understand the overall goals of the business outside of demand gen, and give you an avenue to share your (hopefully) awesome results. Lauren: I can be found on Twitter @B2BLauren, talking about my love of sports, connecting with my fellow marketing nerds, or tweeting with my mom about how she wishes I still lived in Atlanta. Zak: Lauren this has been great, thank you. Jonathan Burg is latest of our Moneyball Marketer Demand Generation All-Stars. As senior director of marketing and customer acquisition for Apperian, Jonathan is instrumental in the growth of the company defining the mobile application management marketplace. We had a few minutes to sit down with Jonathan and learn about some of the keys to his demand generation success. Jonathan: We target both IT and Business leaders who own the success of critical employee mobile apps. Our solution helps organizations securely deploy mobile applications to their BYOD employees. Zak: How do you segment your audience? Jonathan: We primarily segment our audience by use case and the persona who is trying to solve the challenges associated with a specific enterprise mobility environment. Jonathan: We follow a version of the SiriusDecisions lead waterfall that is aligned to the unique demands of our perpetual demand generation framework. The important part of the waterfall is that it is looked as a communication framework and part of an overall customer journey / lifecycle. Jonathan: We invest in technologies that help us optimize the customer journey. Our stack is made up of solutions that make our web properties easier to find and more sticky, help with data governance and streamline lead processing, drive marketing automation and CRM best practices, and facilitate customer communications and advocacy. Zak: That’s very comprehensive – nice. Are there any technologies that you may add over the next 12 months? Jonathan: We are currently working to understand if predictive marketing is right for our technology. We will also be looking at account based marketing tools that align to early, middle, and late stage demand generation. Jonathan: I think the development of customer advocacy, account based marketing, and predictive marketing tools are going to be hot. Customer marketing and advocacy is a pivotal component of efficient demand generation. By learning from your customers, organizations are also better able to target and predict future customers, that is where account based marketing and predictive marketing will come into play. Zak: Jon Miller of Marketo has talked about behavioral targeting being an area he expects more marketers to get their head around in 2015. Are you doing any form of behavioral targeting or triggers? Jonathan: Yes. Because we target by use-case behavior targeting is very important. Based on the type of content our subscribers are interacting with we only send them content that is applicable. We are also boosting our efforts to segment our customers based on how they are using mobile app management so that we can help them become more successful. Zak: I gotta believe that puts you in the top percentile of marketers of terms of really taking advantage of what’s possible with marketing automation. What’s a marketing program that you’ve done in the past year that has been particularly effective or innovative? Jonathan: We had an extremely integrated program that pulled nearly every lever - Social, Search, Email, Events, Advertising, teleprospeting, and Direct Mail. We anchored the program with the theme of MobilityPro. We launched the MobilityPro survey and sweepstakes that people could enter via social channels as well as being interviewed live at the events we were attending. We also used an important piece of analyst research to fuel survey responses. Not only did it help increase our Klout score, but we generated significant awareness at our events, received 300+ survey responses helping to create our 2015 Mobility Report, and created a pool of people who wanted to learn how we could help them solve their unique mobile app needs. Zak: Now that is integrated marketing – congratulations. For the social media component, what are the top social media platforms you’ve found to reach your audience? Jonathan: Twitter is our social platform of choice to interact with influencers in our market. We do a lot of work on LinkedIn and are starting to build out Facebook strategy. Jonathan: Our go to market is governed by campaigns, which are messaging frameworks that fuel the development of content created for personas that are focused on specific use cases. We have programs and tactics that align to these campaigns. Our department heads meet to kick-off the campaigns and together outline what content is needed for early, middle and late stage programs and tactics. We assign a lead on each piece of content and support each other to make sure it is completed by the time it is needed. This approach has proved to keep alignment between teams and enhance efficiencies. Jonathan: Coming out of an MBA I entered into a marketing leadership development program. I had an affinity for demand generation and creating high functioning teams focused on generating qualified sales pipeline. I haven’t looked back since. Jonathan: I love the challenge of having to think strategically at the c-level one-minute, and being responsible for executing that strategy the next. The changes in altitude required and the diverse challenges encountered every day make the job fun! Jonathan: The ability to create team cohesion across functional groups is key. Having an understanding of how aligning people, process, and technology can achieve higher-level organizational goals is key. Grit. I’ve not met a successful demand generation pro who doesn’t have fun working hard. Jonathan: Focus on the customer experience, whether that’s the customer of your company or an employee you’re working with. If your always focused on the customer you will design programs that make a difference and will motivate your colleagues to accomplish them effectively with you. Jonathan: You can find me on twitter at @jonmburg or LinkedIn. Zak: Thank you Jonathan, really insights and you had a really nice example of an integrated program, congrats again on orchestrating that. Ellie Mirman is latest of our Moneyball Marketer Demand Generation All-Stars. After climbing through the ranks in marketing team at HubSpot, Ellie has taken her Demand Gen prowess to Toast where she is VP, Marketing for a company redefining restaurant management software. We had a few minutes to sit down with Ellie and catch up on how she is applying her phenomenal track record at HubSpot to her newfound challenges at Toast. Zak: At HubSpot you were marketing to a wide range of audiences. Now at Toast who are you targeting? Ellie: Toast is an all-in-one restaurant management platform meant for all different kinds of restaurants - from cafes and bars to full service restaurants and fast casual chains. Zak: How are you segmenting your audience? Ellie: We're still ramping up our marketing efforts, but there are already a few key ways to segment that are emerging. Firstly, we have a few different audiences: prospects, customers, partners, and resellers. Secondly, there are different types of restaurants with different needs - a cafe or bakery may value different benefits than a full service restaurant would. Zak: In your early state of building out your marketing, how are you approaching lead stages? Ellie: Our funnel progresses from leads who are just looking for educational content to leads who are actively looking for a solution to opportunities who are evaluating our software and then, ultimately customers and evangelists. Zak: And what does your initial “technology stack” look like? Ellie: HubSpot for marketing, Salesforce for CRM. We're a lean team and use free tools like Google Docs and Trello for other tech needs. Zak: Are you considering any new marketing technologies in the near future? Ellie: We're a lean team and I think stating we'd add certain technology in the next year is only going to invite cold sales emails so I'll refrain from saying more. Zak: Fair enough. How about demand gen more broadly -- what aspects do you see as particularly ‘hot’ over the next year? Ellie: What isn't hot about demand gen??... said the marketing geek. I will say that one of the interesting things about doing demand gen right now is figuring out how to cut through the increasing noise online. Online marketing, inbound demand gen, social media marketing... these things aren't new anymore, and simply being online isn't enough. Zak: Jon Miller of Marketo – one of your former competitors—has talked about behavioral targeting being an area he expects more marketers to get their head around in 2015. Are you doing any form of behavioral targeting or triggers? Ellie: I agree that this has become more common - as well as more possible, given all the data that exists about user behavior. Retargeting and behavioral segmentation are likely the starting places for us as we start to ramp up our nurturing efforts. However, I must warn that this only makes sense when you have enough data and a large enough audience before diving into this area. Ellie: While at HubSpot, we implemented holistic lead nurturing - expanding beyond the classic email nurturing into social, retargeting, and even some offline campaigns - which was one of the successful initiatives that significantly improved the lead to customer conversion rate. Ellie: Everyone contributes to our content creation efforts. That includes everyone in marketing as well as content contributors from other departments because they bring great expertise to showcase on the blog. We also have someone on the marketing team who "owns" content creation - from strategy-setting to editing to creating a significant portion of the content. Ellie: Facebook, Instagram, and Twitter are our biggest networks so far. Zak: Let’s move a little bit to the personal side -- how did you get your start in marketing? Ellie: While getting a liberal arts degree in college, I started thinking about what I wanted to do when I graduated. I ended up taking a marketing internship one summer and fell in love with it. Through my marketing internship experience, I landed a job doing marketing at an up-and-coming startup - HubSpot. That turned out to be an exceptionally good choice early in my career. Ellie: The variety - there are so many facets of marketing that leverage different skills. I love being able to do analytical and creative work and work on a variety of things every day. It keeps things interesting and challenging all the time. Ellie: Analytical - able to make data-driven decisions, test, analyze, prioritize. Agile - able to stay on top of what's happening in the industry and in the sales funnel to adjust as necessary. Communicator - able to communicate well, whether in written form or verbally, both internally and externally. Curious and creative - able to get new ideas from unexpected places and explore new opportunities. Ellie: Get experience any way you can. That means interning or even testing out demand gen strategies on your own personal website. (If you don't have a personal website, start one!) Results speak louder than any theories you can talk about in an interview. Zak: For those who want to continue to learn from you, where can we find you on social media? Ellie: My personal blog is www.elliemirman.com and you can follow me on Twitter at http://twitter.com/ellieeille. In my recent post titled Demand generation is about lead generation and oh-so-much-more, I shared what it takes to be a superstar demand generation marketer today. Now I’d like to introduce the superstar demand generation marketers that I’ve come across. I participate in local demand generation peer groups via MassTLC, the Boston Marketo User Group and SiriusDecisions – and these stand out as the best of the best. For each, click to see our interview with the All-Star to learn about their secrets to success for world class demand generation covering topics including an example of an innovative program, details around their marketing technology stack, their approach to content creation and how they got their start in marketing and demand generation.